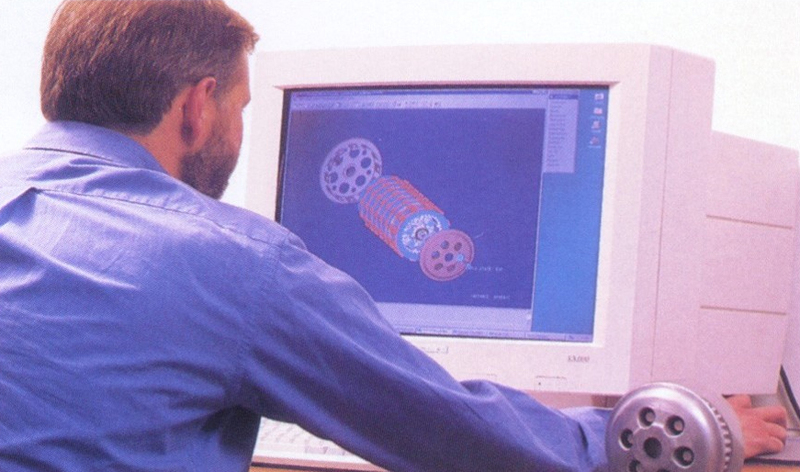 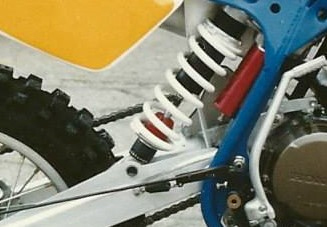 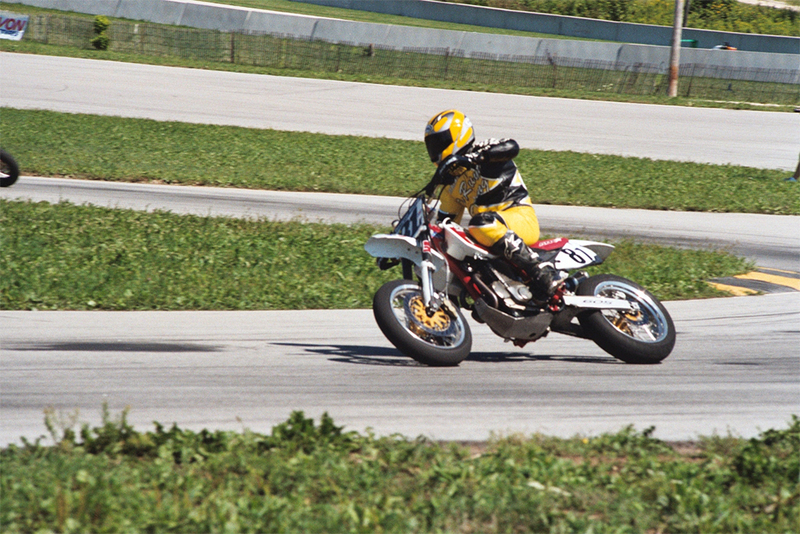 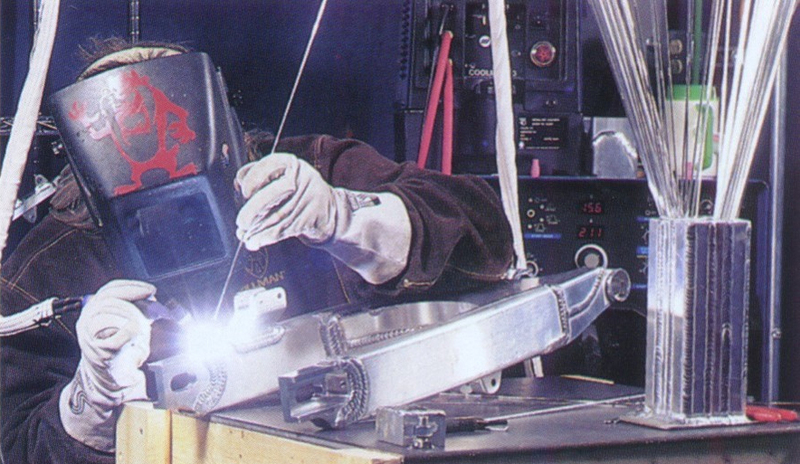 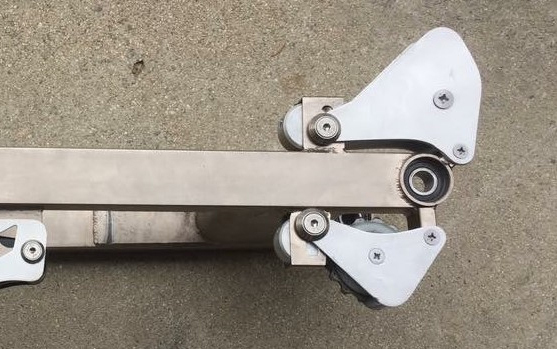 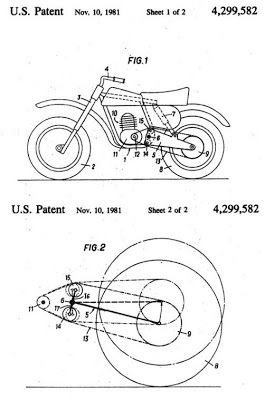 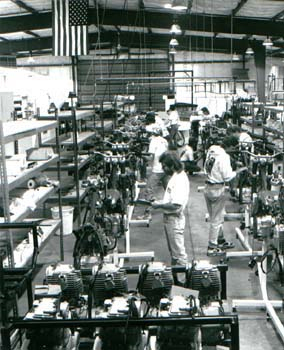 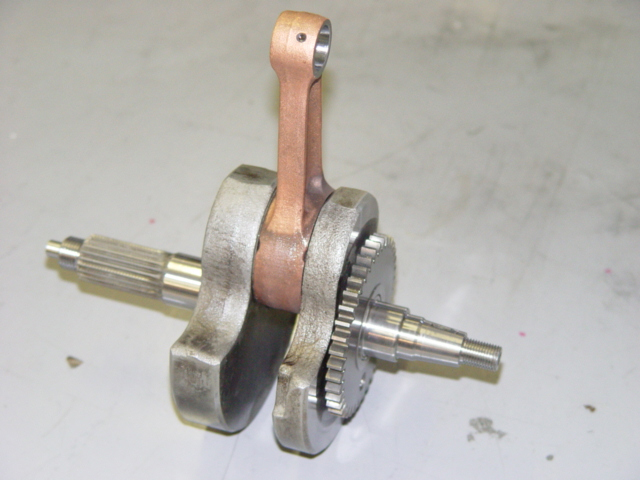 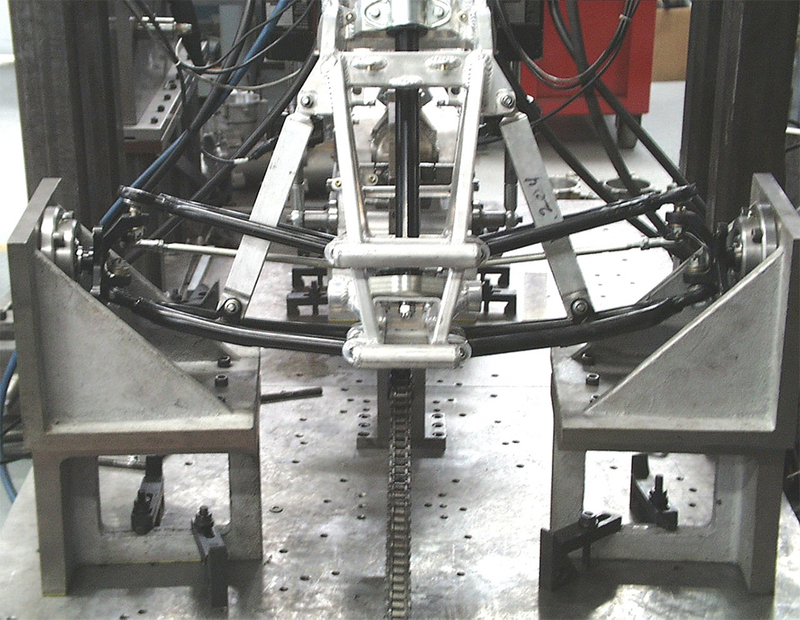 1984 – ATK patents the “Anti Tension Kettenantreib” developed to normalize chain torque for improved handling on the motorcycle. 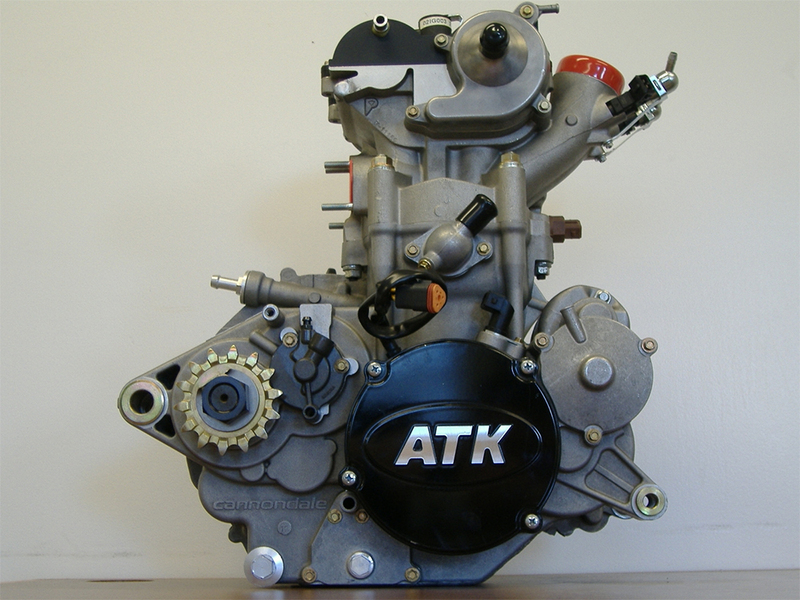 The name ATK derives from this device. 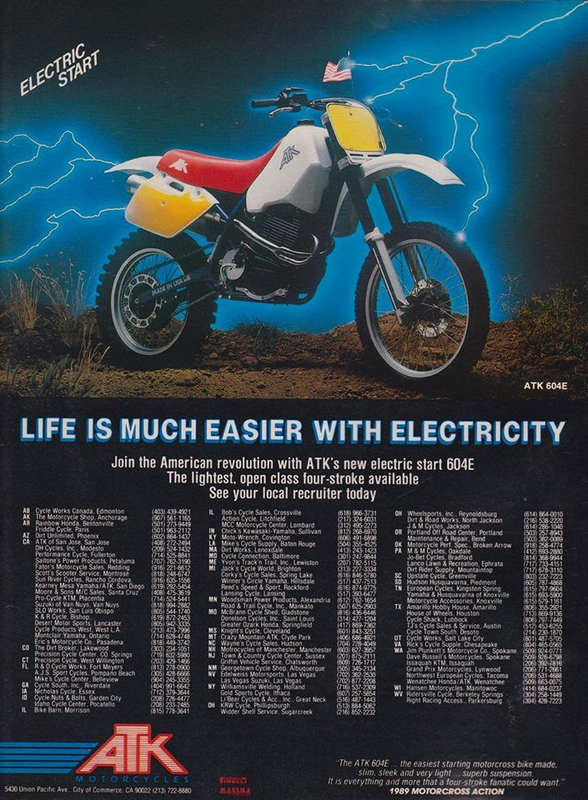 1989 – ATK goes Electric… “Push Button Electric Start” that is. 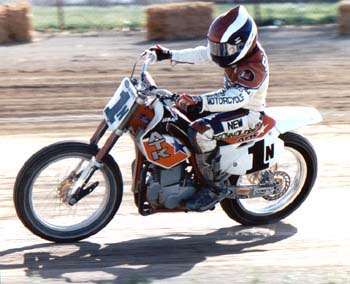 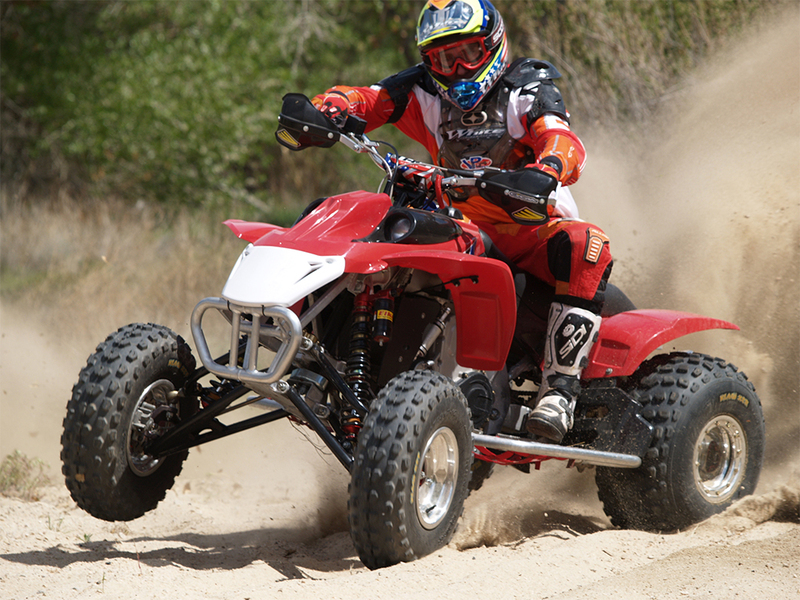 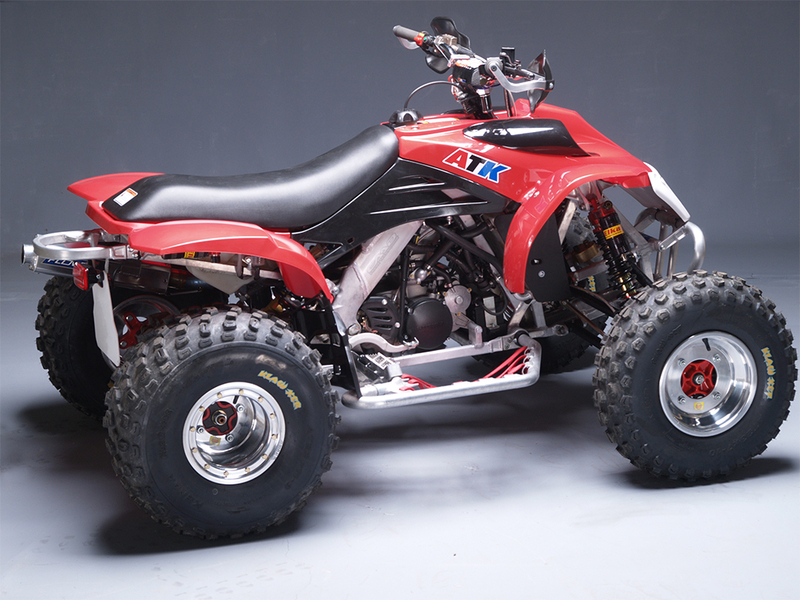 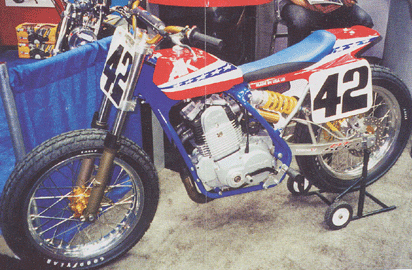 ATK was the first manufacturer to offer Electric Start on a high-powered thumper 4-stroke. 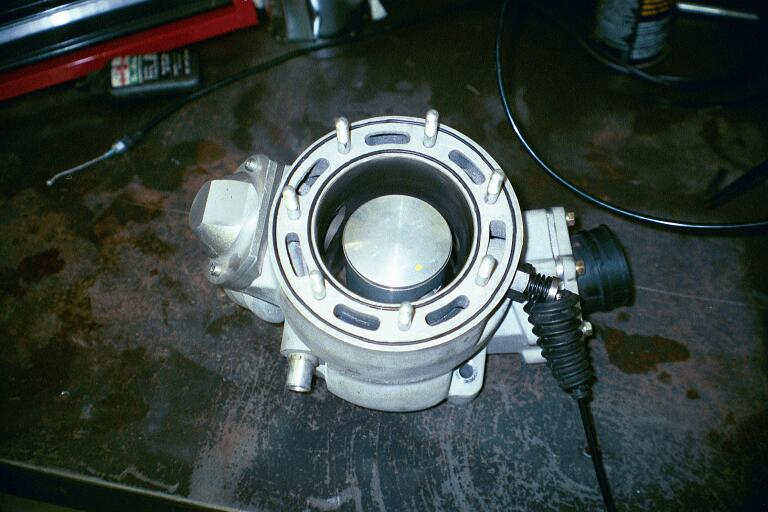 This little push button created a big advantage in racing on dead engine starts and when you killed the motor. 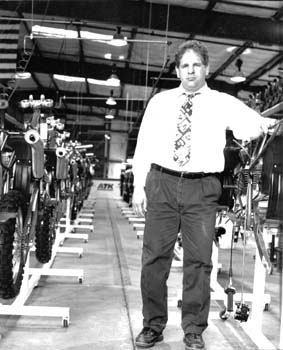 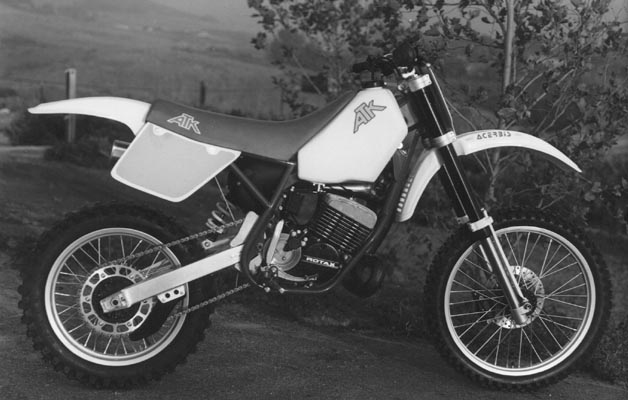 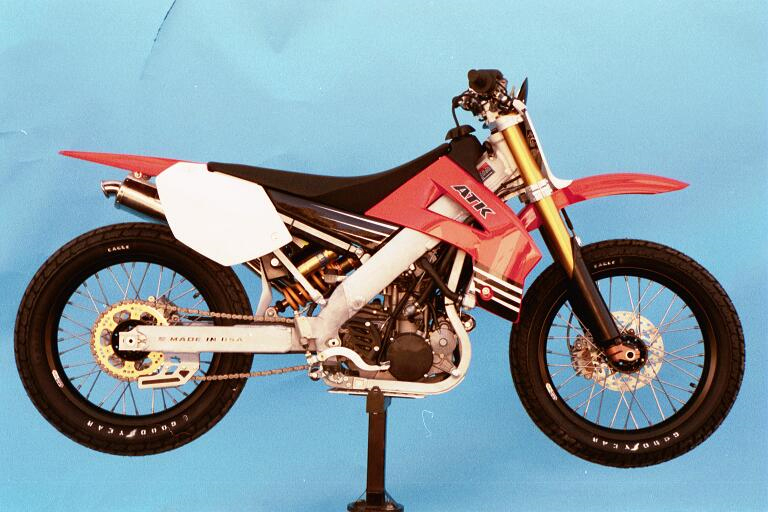 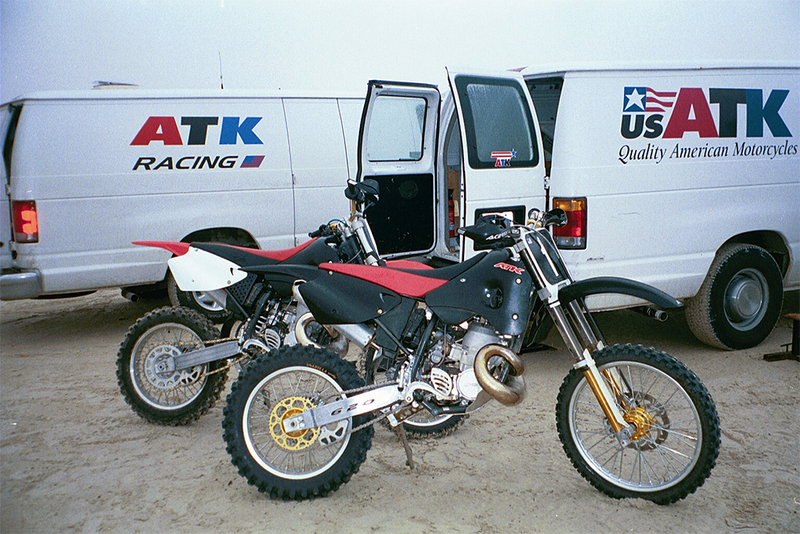 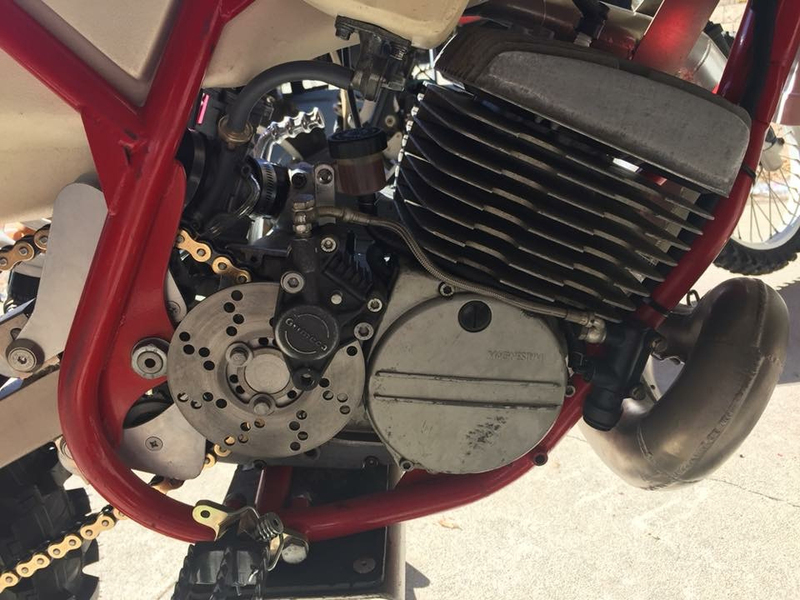 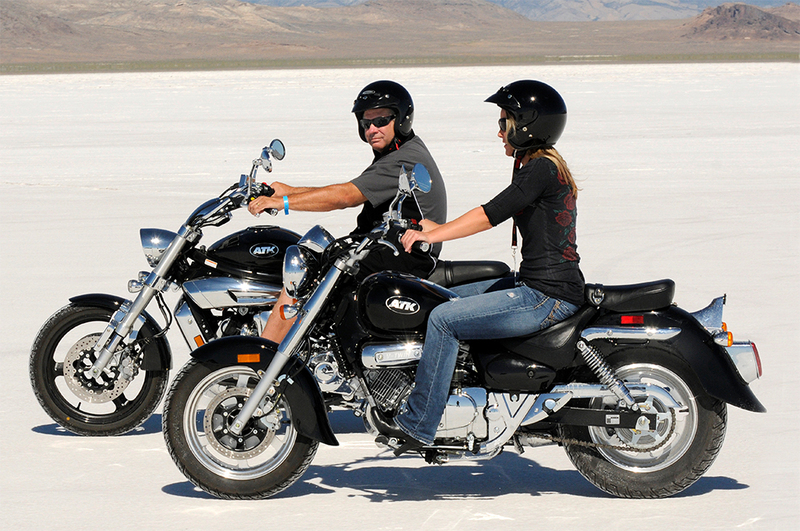 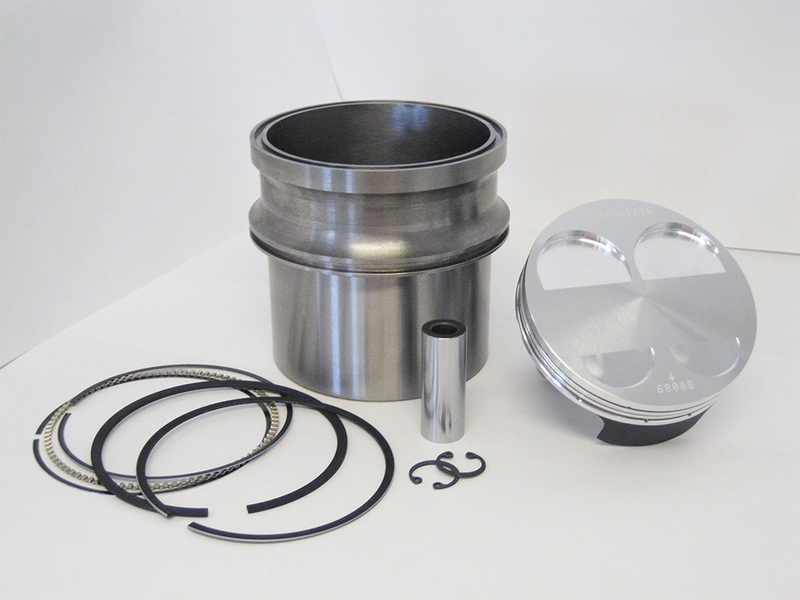 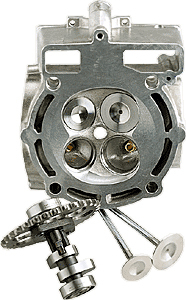 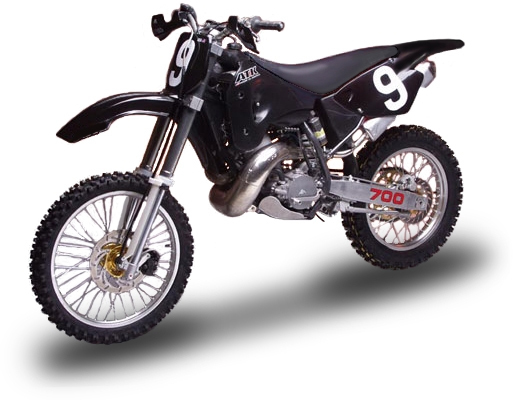 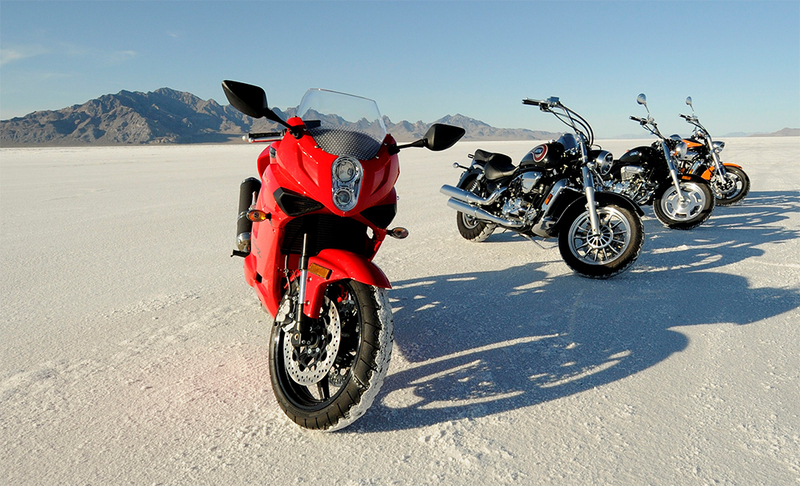 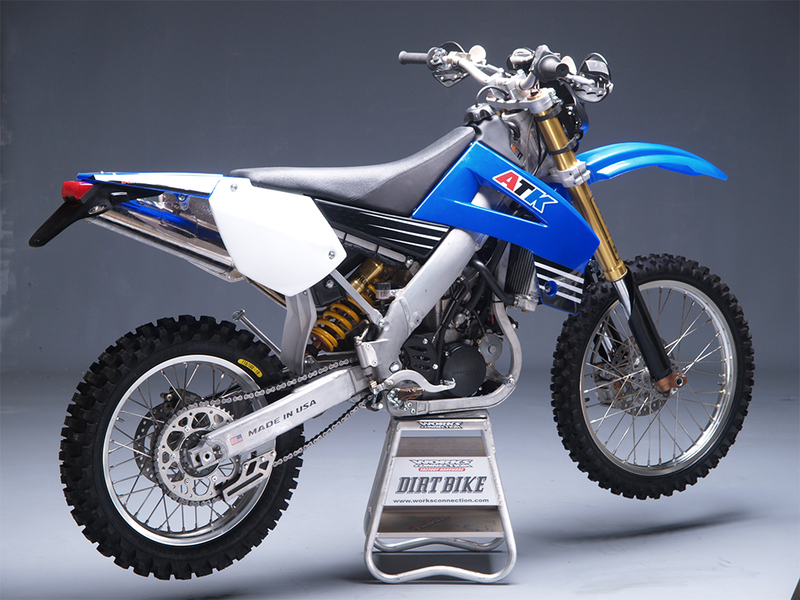 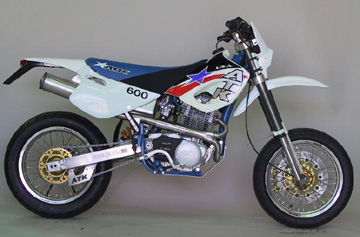 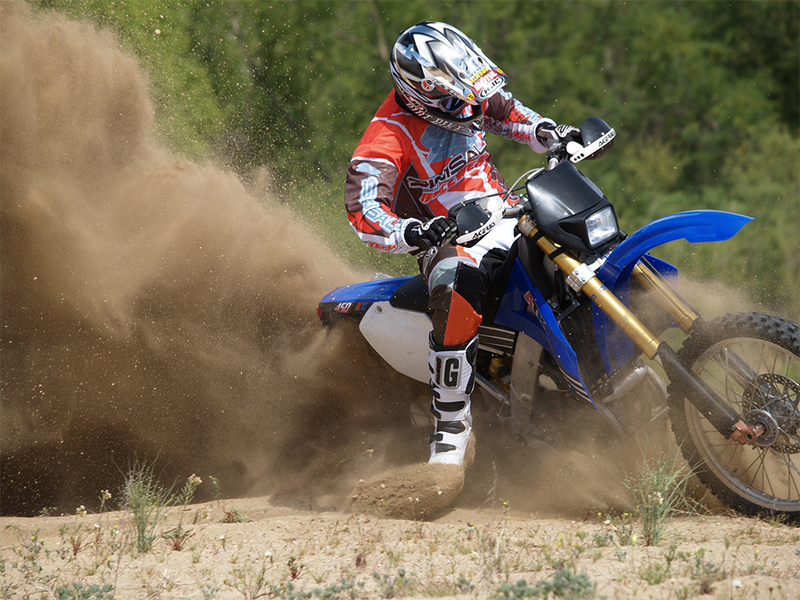 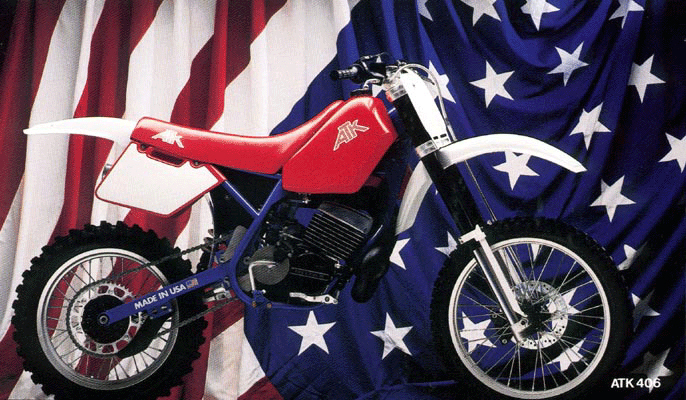 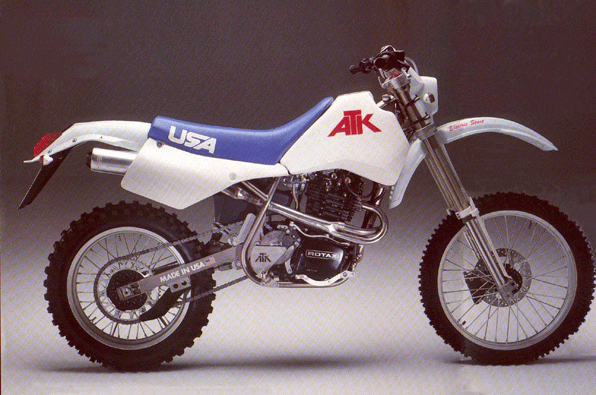 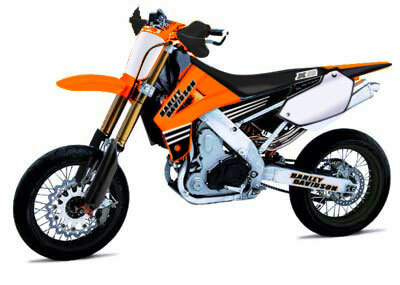 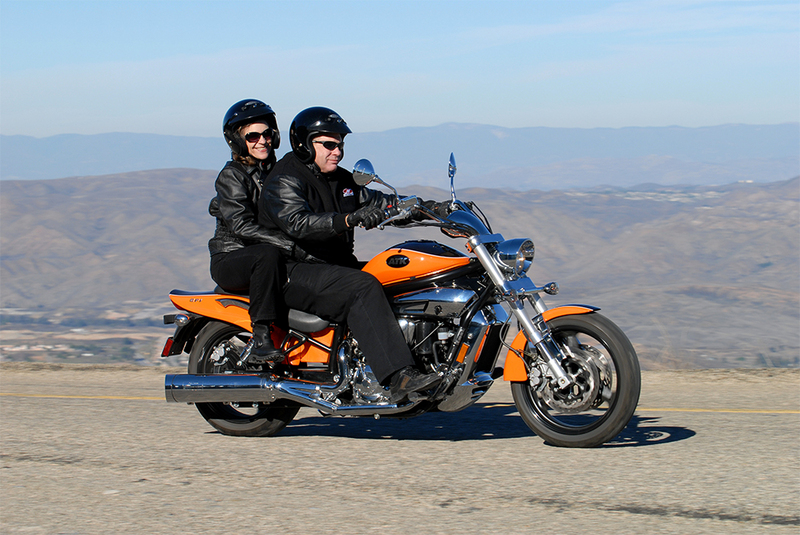 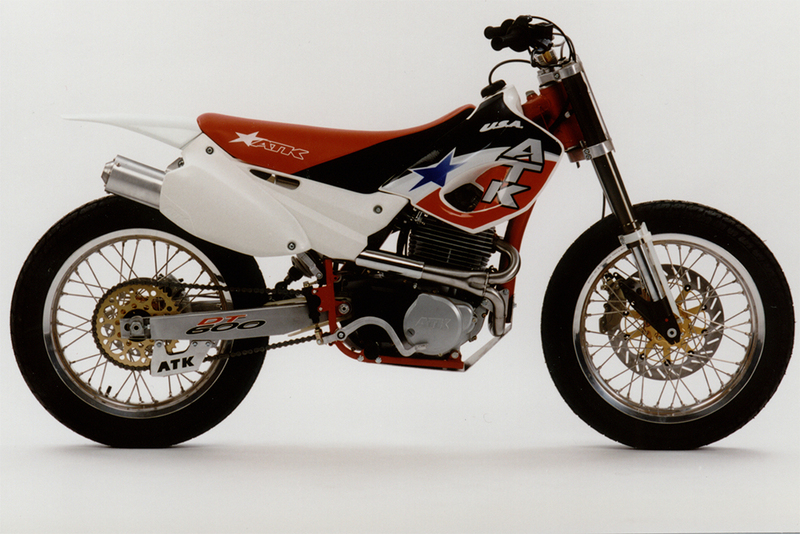 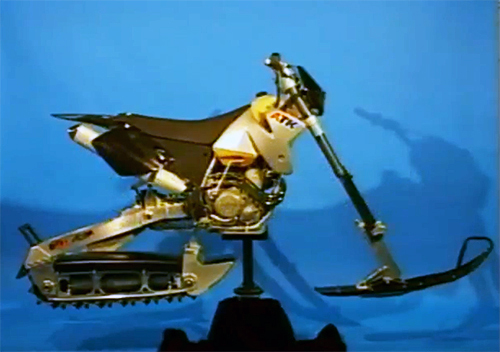 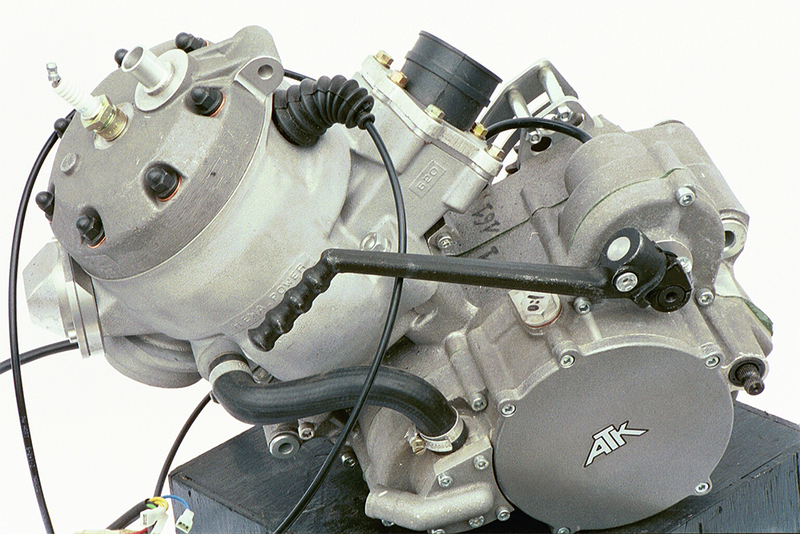 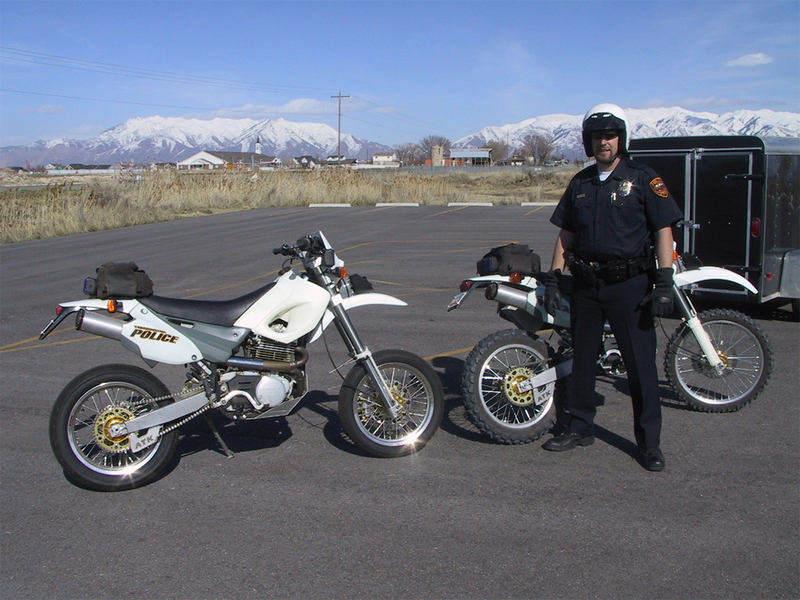 1992 – ATK the First Manufacturer to offer EFI (Fuel Injection) on an off-road motorcycle. 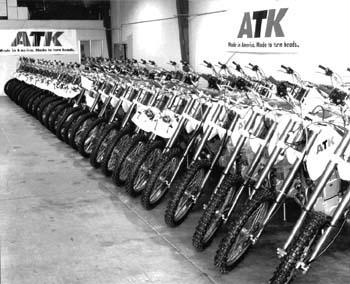 ATK moves from Southern California to Centerville Utah. 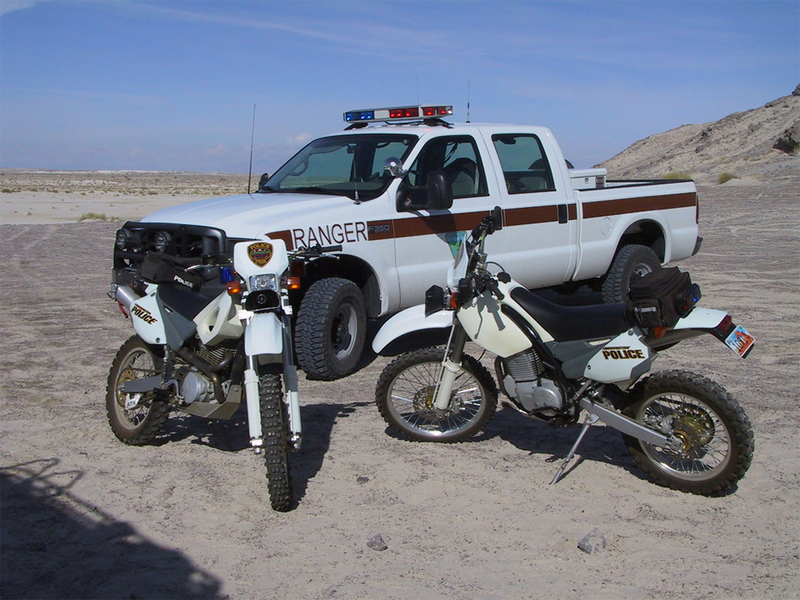 Los Angeles Police, San Francisco Police, San Diego Sheriffs and San Bernardino Sheriffs and others agencies. 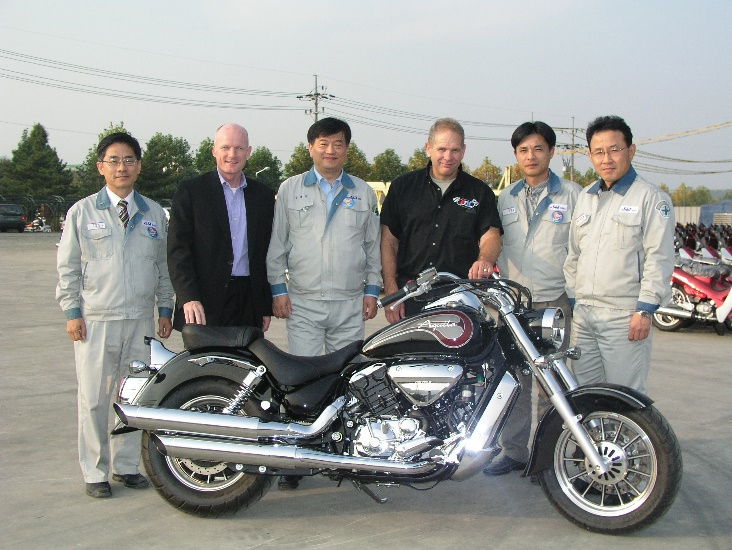 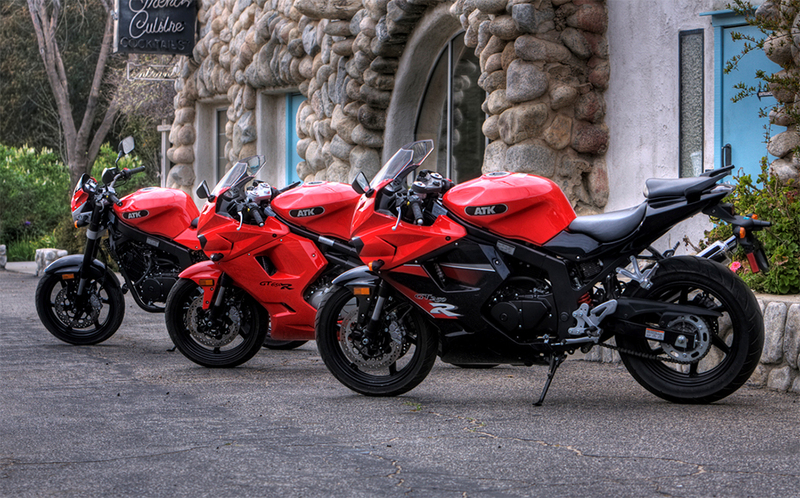 For 4 large motorcycle manufacturers. 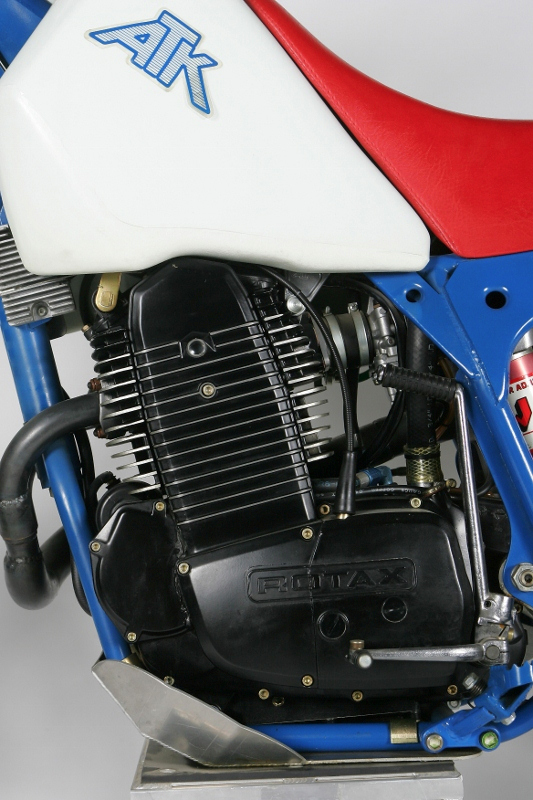 World’s largest single 2-stroke by 200cc. 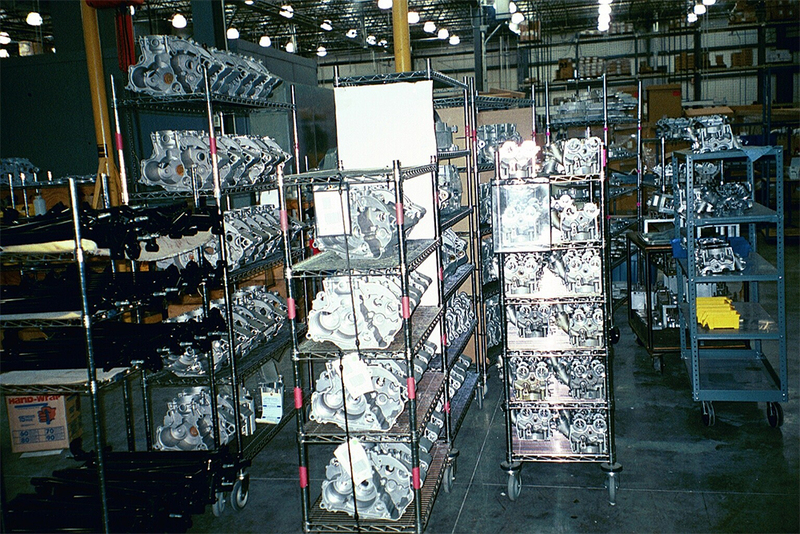 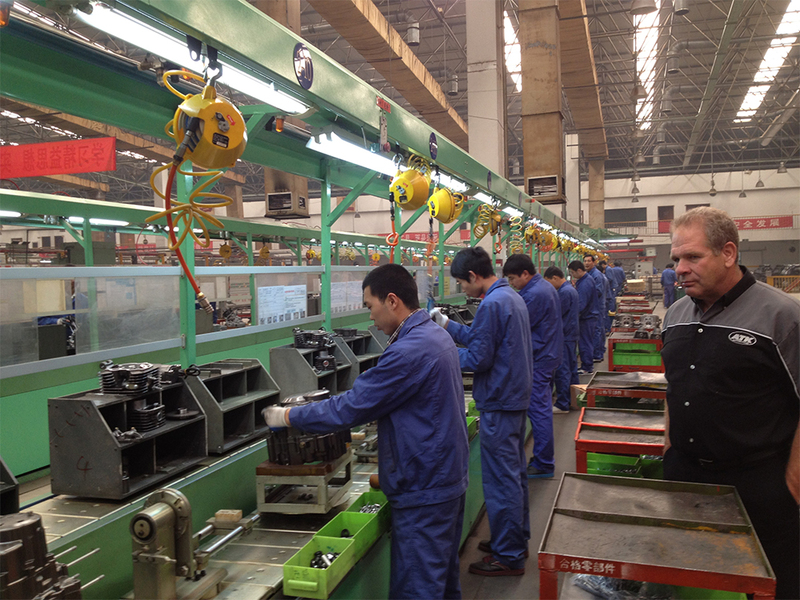 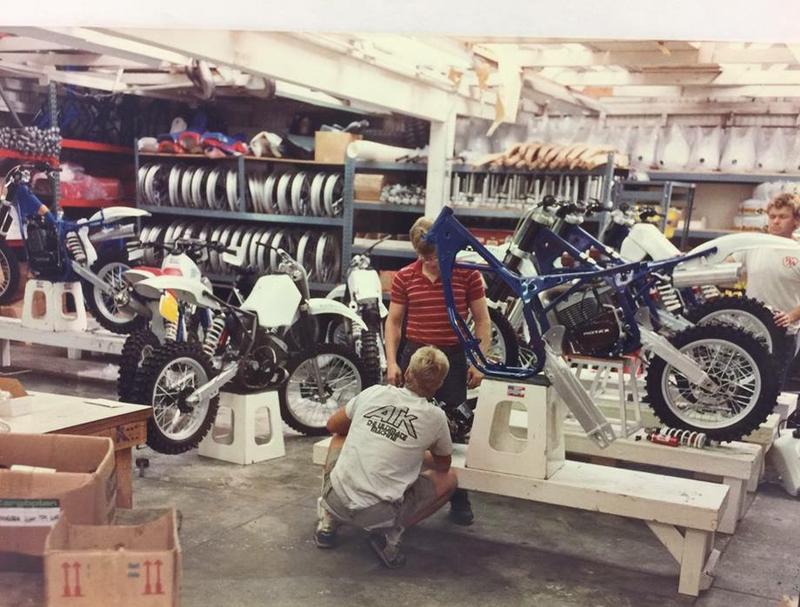 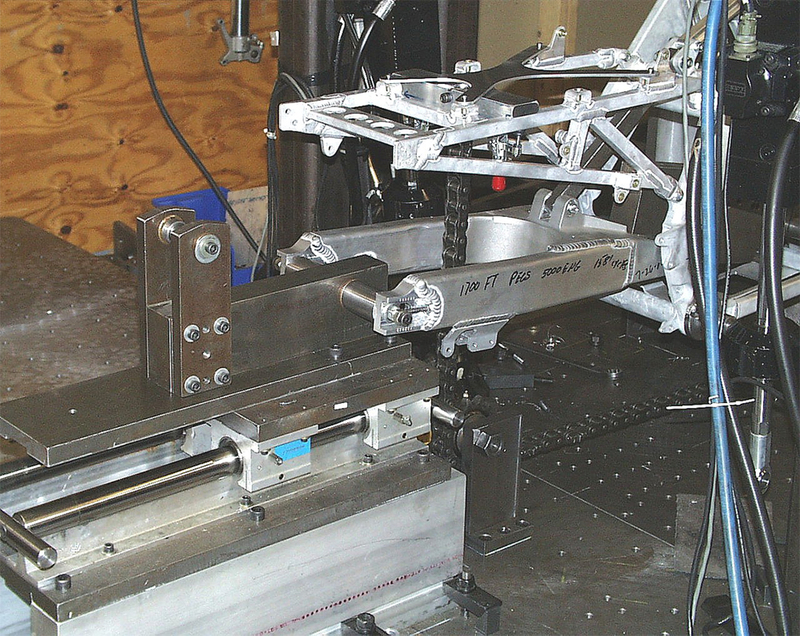 ATK’s Centerville Utah manufacturing facility.